Posted March 15, 2017 by Ben & filed under Six Organs. West Coast tour is over. Donovan and Elisa and I had a wonderful time. We’re currently preparing for the East Coast/Midwest tour which will kick off with Six Organs (and Rangda) at Big Ears festival. Happy to announce that John Elliot will be joining me in creating music for the Wallace Stevens play. Very stoked on that. Posted January 2, 2017 by Ben & filed under Six Organs. Here’s a track from Burning The Threshold. That’s Corsano on Drums, Cooper Crain on keys, and Haley Fohr singing on the chorus and those 3 part harmonies. I should note – there is bass on this song that is completely lost if you only play it through your computer speaker. To get the best sound, if you aren’t plugged into a stereo, I highly recommend listening on headphones. Haley and Cooper released one of my favorite records of last year, the Jackie Lynn record. I’m very stoked to have them on the record. Cooper also engineered Burning The Threshold in Chicago. Lately, I’ve been working on music for a play about Wallace Stevens, which will be premiering in Cleveland in May. It’s an original play, written by David Todd. David asked me to write some original music to be incorporated into the action of the play. Being a huge Wallace Stevens fan, I agreed. We are very pleased that the estate of Wallace Stevens has granted us rights to perform his poems and work for 5 years, as well, which will allow us to really bring his work to life. The first song on Burning The Threshold is inspired by the play David wrote, though it won’t actually be in the play. Until then, I will be concentrating on these upcoming tours. The band will be mostly acoustic. I’m looking forward to playing acoustic in the states. The last time was in 2011 for the Asleep on the Floodplain tour. A new Six Organs of Admittance record will be arriving in 2017. Burning The Threshold will be released Feb 24th on Drag City. A song from the record can be listened to at NPR here. This record is the first non-hexadic acoustic oriented record since 2011’s Asleep On The Floodplain. It features a few friends throughout the record (Alex Neilson, Chris Corsano, Haley Fohr, Cooper Crain, Damon and Naomi, Ryley Walker). 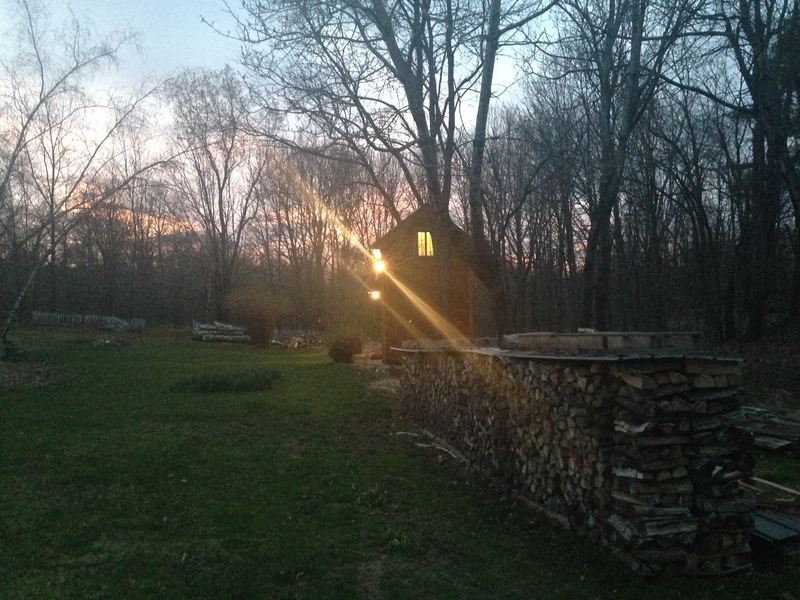 The acoustic guitar was recorded at Gladtree Studios in Vermont (see below post for photo of the shed I recorded in). The tracks were then taken to Chicago where the record was finished by recording with Cooper Crain (Bitchin Bajas) in a few locations. We will be having a special record release party on Feb 22nd in London at St Pancras Old Church. Tour dates in the US will follow. Tickets here. More thoughts on the record soon. Thank you. Posted October 5, 2016 by Ben & filed under Disclosure. I know I need to update this site more often. I usually can’t think of anything new to put on it. I will maybe try to use it more like a blog, and just post things I find interesting. But here’s a little new info. 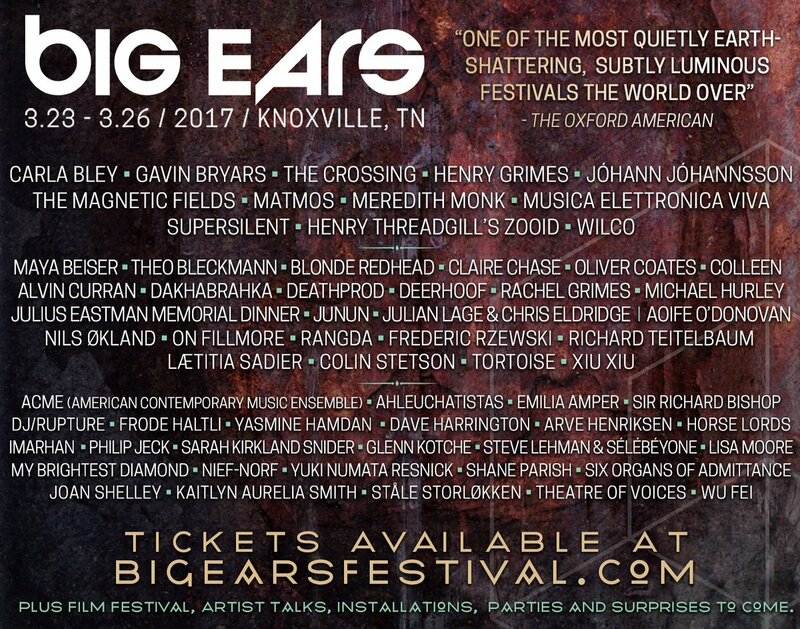 First – I will be playing the Big Ears Festival with both Rangda and Six Organs of Admittance in Knoxville, TN next March. Second – I finished a record. This will be announced in a bit. Our friend Phil Legard has made a page on his website dedicated to the Hexadic System. We’re honored. The Hexadic project is still full on. I imagine it will continue for the rest of my life, even if music is made during the meantime that is not Hexadic. Speaking of the Hexadic System and Phil Legard – From Here to Tranquility Volume 7 is a new comp put on on Kim Cascone’s Silent Records. 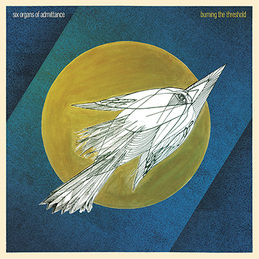 It features a song by David Metcalfe using Six Organs Hexadic material as a source. Kim Cascone is a person definitely worth your time. This Northrop Frye lecture series on Bible as Literature is pretty great. Recommended on Twitter by Brent S. Sirota. I know I know, we’re all enlightened atheists that don’t believe in that fairy tale stuff. Still, pretty nice for those of us that never went to Sunday School and want to pick up on some of the threads of western civilization. Donovan Quinn and I are reading Frye’s book on William Blake right now and it’s very, very good. I’d actually put it next to Henry Corbin’s Alone with the Alone in terms of inspiration and books that dive into the importance of the imagination. During the Rangda tour we listened to this lecture by Sun Ra. It struck me that his ideas of power, language and myth aren’t a million miles away from people like Foucault and Zizek. Sun Ra’s just a lot more fun to listen to. Cool reading list too. You’ve probably heard by now but VHF and Three Lobed have launched a Jack Rose Reissue campaign that is very much needed. Even Pitchfork likes it.